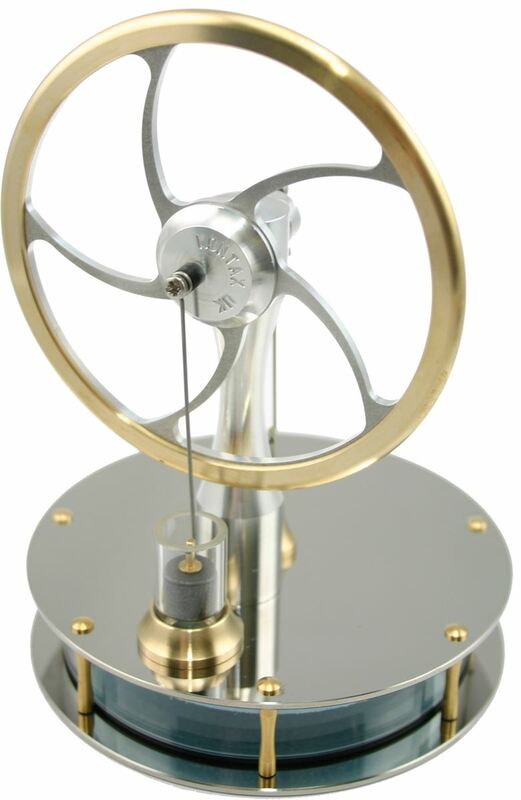 Stirling engines convert thermal energy into mechanical energy. 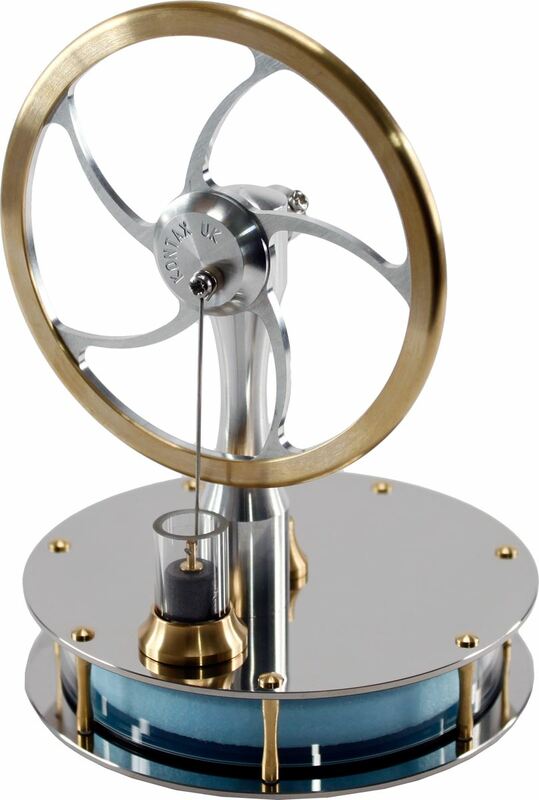 These Stirling engines take a temperature difference between the top and bottom plate and turn it into rotational energy, rotating the flywheel. Simply placing a cup of warm coffee/tea underneath is enough for it to work. 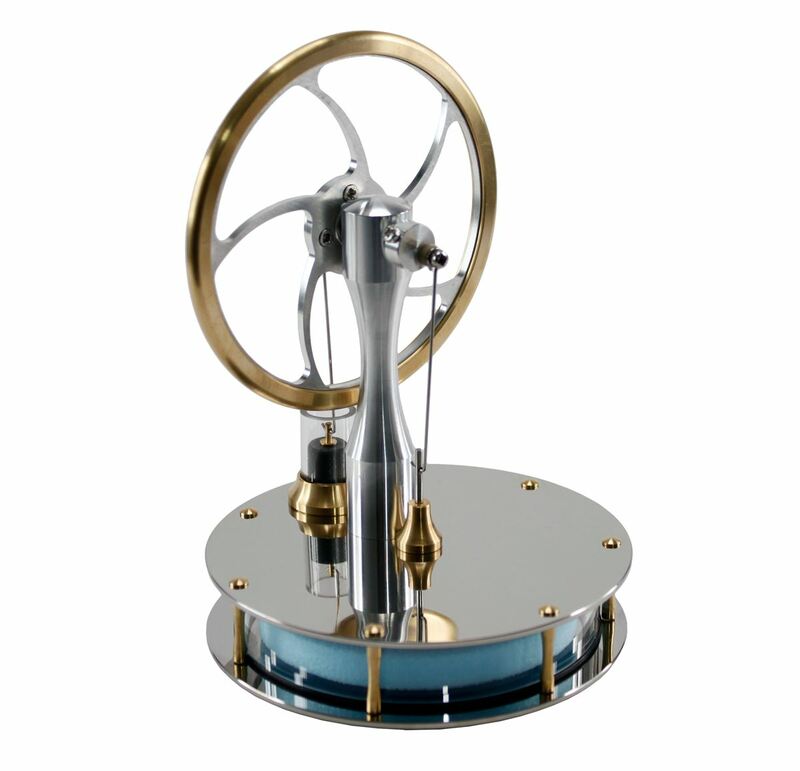 These wonderfully made stirling engines are a joy to watch. They can run on the heat from your hand. They really get up to a speed when placed on top of a cup of tea or coffee. Been made over a number of years and this shows with the performance. 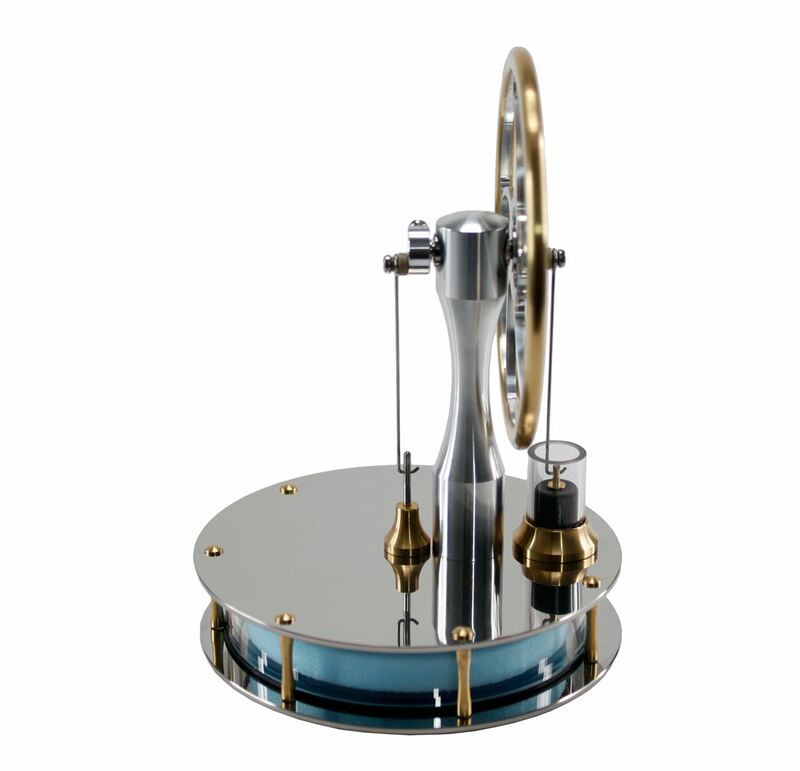 This version has highly poslished chrome like finish. Note: Now also available in kit form.